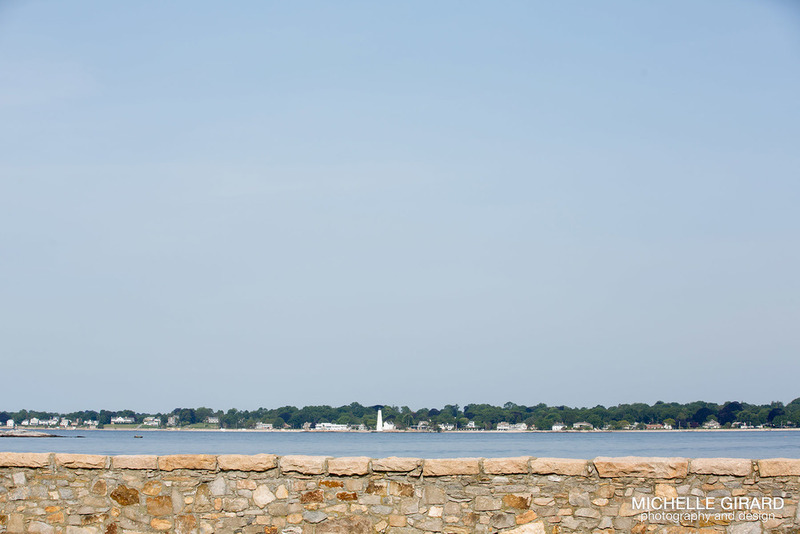 Jessica and Jamal met at the Avery Point Campus UConn in Groton Connecticut and the campus, set right against the ocean, made for a gorgeous and personal backdrop for their engagement session on a bright and early Saturday morning. As we walked around, they pointed out some of the landmarks on campus for me, the artwork, the lighthouse and eventually Branford House, which you can see in some of the images below, with its beautiful stone walls. There's a lot of history on this campus! Since Jessica and Jamal love checking out wine tastings together, our next stop was a wine shop down the road a bit in New London called Thames River Wine & Spirits. They were so gracious, giving us run of their store for photos. We utilized the moody light and textured bricks in their tasting room and the furnished and appropriately decorated cigar room above that, all in the back of the store, as well as the front of the shop, completely stocked with a variety of wines!